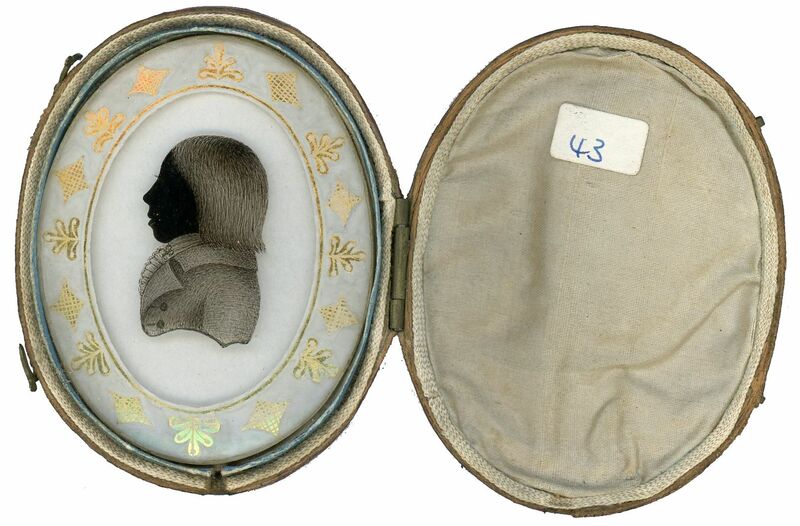 A rare opportunity to acquire an original silhouette by the rarely seen but highly accomplished artist, H. Readhead. 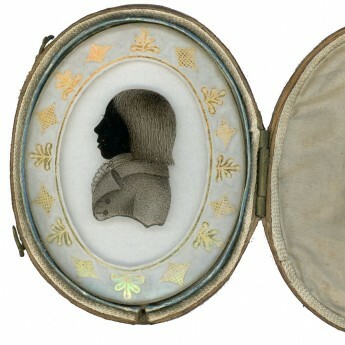 The profile depicts a young boy in a jacket and frilled chemise. The silhouette has a bracketed bust-line termination and is reverse painted on convex glass with a delicate verre églomise surround in gold. 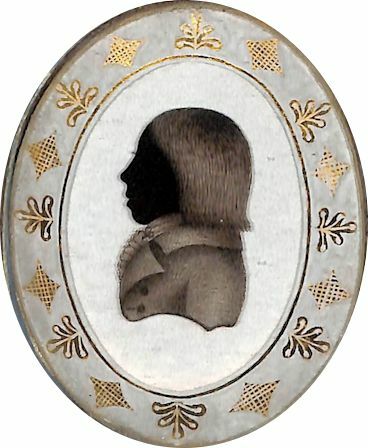 The face is painted in solid black, the hair and costume in transparency with individual brush strokes visible. 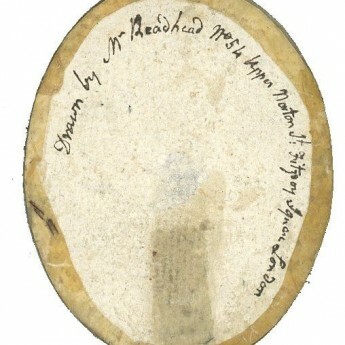 The silhouette is backed with card and is signed on the reverse – Drawn by Mr Readhead No. 54 Upper Norton St, Fitzroy Square, London. It is set within the original red leather travelling case. Excellent condition. 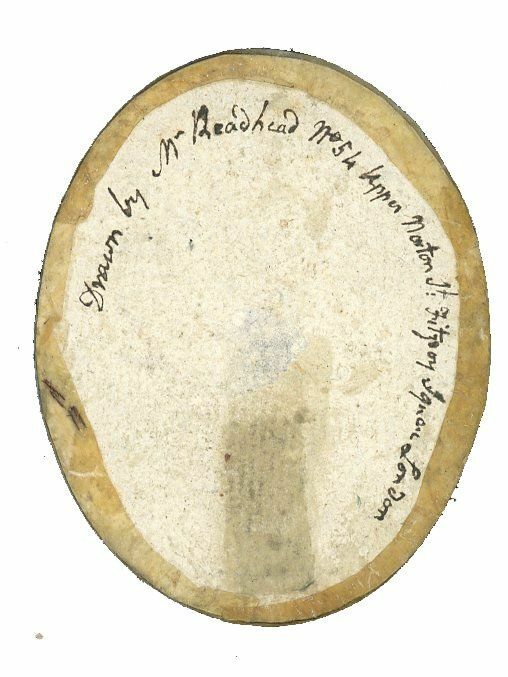 Little is known about the silhouette artist H. Readhead who worked during the 1790s and there are few recorded examples of his work.